Olá! Hoje quero vir mostrar-vos o trabalho da minha colega e amiga Ana Guimbra. Ela é uma artista e performer portuguesa de 21 anos e irá expor comigo dia 16 e 17 de Dezembro de 2016 no Porto (podem saber mais sobre isto AQUI). Hi! 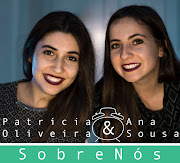 Today I'm going to talk about the work of my colige and friend Ana Guimbra, she is a performer and Portuguese artist with 21 years old and she is going to exhibit with me in 16 and 17 of December of 2016 in Porto, Portugal. (you can see more of that HERE). I can be the work itself, I'm always the performer. Her work is composed by the smells, the sounds, ambients and scenarios, everything created meticulously for every performance. levar a sitios fantasiosos, fazer sonhar e pensar para dentro..."
fantastic places that make us dream and think inside..."
Que fotos lindas, cada detalhe... Meu Deus! Congrats às duas! !